Greetings from Rabat….wish you were here! Photo taken in Rabat’s famous souq in April 2011. 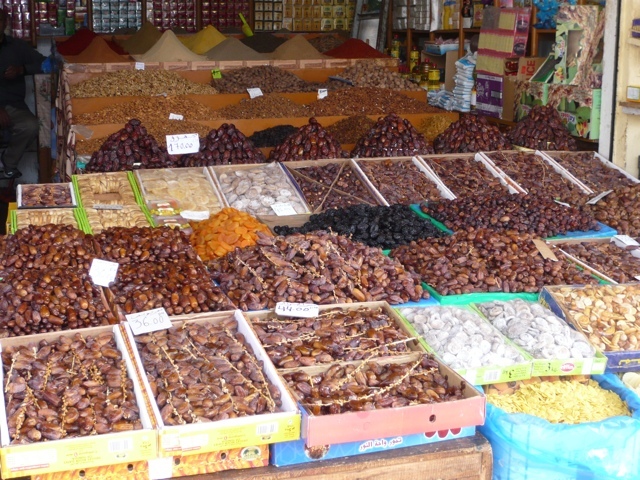 Figs, dates and anything else you want is available fresh at the souq in Rabat. I loved the barrels and barrels of them everywhere. Yet I didn’t love the flies! Must be that Western part of me but I’m sure the food was fine. I’m not really a fig lover but they were fun to photograph. Now the enormous barrels of olives truly got my attention. I would have loved to dip my hand inside and eat all the olives till I could not longer move! Nice pic! I love figs but hate olives!